The main objectives of the conference are the discussion of the anthropological aspects of science and technology, problems of human and human subjectivity in cultural, historical and philosophical reflections. To participate in the conference we invite experts in the field of philosophy, sociology and other social sciences and humanities, as well as post-graduate students and applicants who intend to pilot their research. Conference languages: Ukrainian, Russian and English. Conference materials reflect all aspects of evolution at the university libraries; concretize the theory and practice of library and information services in the transition period from the era of documentary communications and book culture to the era of electronic communications and multimedia culture. Collection materials presents all aspects of university libraries evolution, concretizes questions of theory and practice of library and information service in transition period from the era of paper communication and book culture to the era of electronic communication and multimedia culture. - Scientific and Technical Library of the National Technical University "Kharkiv Polytechnic Institute"(Ukraine). Final scientific conference of teaching staff of Higher state educational establishment of Ukraine «Bukovinian state medical University» is a regional medical scientific-practical forum. The Conference established "Department of fluid mechanics and mechanotronics" from National Technical University of Ukraine "Igor Sikorsky Kyiv Polytechnic Institute" since 1995. The conference is held once a year. Conference languages – Ukrainian Russian English. Problems and prospects of higher engineering education in Ukraine. 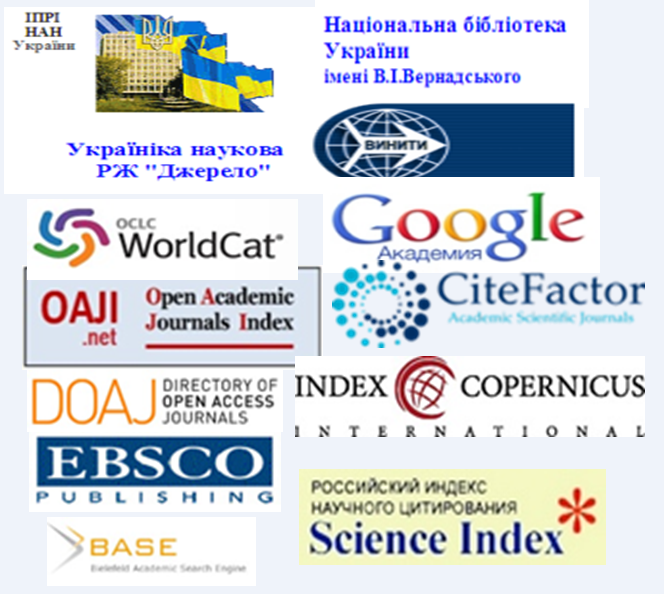 The full texts of the reports recommended for publication by the organizing committee (after hearing them), corresponding to the requirements of professional publications of Ukraine and carried out in accordance with the requirements of registration, may be published in a special collection of scientific articles «Mechanics and Advanced Technologies» and in All-Ukrainian scientific-technical journal "Промислова гідравліка та пневматика"
XXIV INTERNATIONAL SCIENTIFIC-TECHNICAL CONFERENCE "HYDROAEROMECHANICS IN ENGINEERING PRACTICE"
In may 2019 року will be held XХIV international scientific and technical conference “Hydroaeromechanics in engineering practice”. During the conference you have the opportunity to take part in the discussion of problems and perspectives of the development of higher engineering education in Ukraine and get acquainted with the latest achievements in the field of technical hydromechanics, hydropneumatic drives and mechatronics systems, hydraulic and pneumatic machines, hydraulic transmission, automated logistics systems. Participation in our conference will give you the opportunity to: make a report and publish it in the Materials of the conference, post an article in the journal "Mechanics and Advanced Technologies" included in the science-computer databases. The conference will pass in terms of plenary sessions and bench reports on modern problems of hydroaeromechanics and mechatronics, Hydraulic and Pneumatic Machines. Sections are planned to hold presentations and exhibitions of achievements of scientific teams and factories. In june 2018 року will be held XХIII international scientific and technical conference “Hydroaeromechanics in engineering practice”. In may 2017 року will be held XХII international scientific and technical conference “Hydroaeromechanics in engineering practice”. In may 2016 року will be held XХI international scientific and technical conference “Hydroaeromechanics in engineering practice”. — design, modeling and decoration of printed editions and package. The International Conference of young scientists in the publishing and printing industry ‘Drukarstvo molode’ highlights scientific developments in technology, computerized systems, engineering, material science, economics, book publishing, editing, history of typography and design of products of publishing and printing production in Ukraine and in the world. "Economic security of the state and scientific and technological aspects of its provision". International Scientific-Technical, Methodological Conference «Problems of Energy Management System – PEMS» considers scientific, technical, economical and methodical concerns in effective energy management systems development, which allows to improving energy efficiency for energy sector of Ukraine functioning, implementation of energy efficiency policy and energy management for enterprises, organizations and institutions. The National Technical University of Ukraine «Igor Sikorsky Kyiv Polytechnic Institute» invites you for participation in the V International Conference «Problems of Energy Management System – PEMS’18». The conference is held with the support of the Ministry of Education and Science of Ukraine, the Ministry of Energy and Coal Industry of Ukraine, the State Agency on Energy Efficiency and Energy Saving of Ukraine, Scientific-Technical Cooperation of Power engineers and Electric engineers. V International Scientific-Technical, Methodological Conference «Problems of Energy Management System – PEMS’18» considers scientific, technical, economical and methodical concerns in effective energy management systems development, which allows to improving energy efficiency for energy sector of Ukraine functioning, implementation of energy efficiency policy and energy management for enterprises, organizations and institutions. Purpose of the conference: holistic analysis of modern aspects on energy efficiency, energy management and energy saving; demonstration of scientific achievements and search for new solutions for energy efficiency and energy saving in the field; as well as their practical implementation at the current development level of Ukrainian Energy System and current situation for higher education development in energy management. The National Technical University of Ukraine "Sikorsky Kyiv Polytechnic Institute" invite you to participate in the III International Conference "Energy Management: Status and Prospects - PEMS'17». The conference is supported by the Ministry of Education and Science of Ukraine, Ministry of Energy and Coal Industry of Ukraine, State Agency for Energy Efficiency and Energy Saving of Ukraine, the Scientific and Technical Union of Power Engineers and electricians of Ukraine. National Technical University of Ukraine "Sikorsky Kyiv Polytechnic Institute" invite you to participate in the III International Conference "Energy Management: Status and Prospects - PEMS'16». On the site of the "Scientific Conferences of the Ukrainian Institute of Plant Varieties Examination", materials of conferences organized and conducted by the Ukrainian Institute of Plant Varieties Examination and materials of conferences are held jointly with other research institutions and higher educational institutions. Ukrainian Institute for Plant Variety Examination is a basic science and research institution of state plant variety rights protection system and is under control of Ministry of Agriculture and Food of Ukraine. realization of scientific and research works in intellectual property on plant varieties sphere, etc. The Ukrainian Institute of Plant Varieties Examination, together with the partners of the events, is sincerely grateful for the participation in our conferences, which were held in 2012-2017. Materials of the conferences are located in the Archive. VII conference of young scientists and experts "BREEDING, GENETICS AND GROWING TECHNOLOGY FOR AGRICULTURAL CROPS"
sharing the research developments among the young scientists of Ukraine and neighbouring countries. Section 1 Plant Variety Breeding and Genetics. Section 2 Plant Varieties Studying, Examination and Plant Variety Identification Techniques. Section 3 Rights Protection for Plant Varieties. Section 4 Seed Production, Plant Variety and Seed Market. Section 5 Plant Production and Arable farming. Section 6 Biotechnology and Biosafety. Holder of the Conference (the Organizing Committee) reserves the right to select the conference papers for the Conference that meet its subject matter, display high performance of the research and fully satisfy the filing requirements. 1. The language for filing the Talking Points is Ukrainian and, for foreign applicants, Russian/English. 2. The maximum of contributors is three per a paper. 3. Your paper shall contain 1 to 2 sheets of А4 (.doc/.docx) without indicating a page number. 4. All page margins shall be 2 cm, Cambria font, 12 pt point size, single spacing (1), 1 cm first line indent, 0 pt. paragraph spacing (both before and after). Body of the Talking Points shall not contain tables, figures and the List of References. 5. The Talking Points shall feature meaningful and comprehensive contents disclosing the nature of the findings obtained, academic novelty and relevance. – space 1 line and input the body of your Talking Points. 7. Please thoroughly review your data prior to submitting thereof. Between the numbers, always use dash instead of hyphen (e.g. 10–15); this is a compulsory requirement! Enter non-breaking space (Ctrl+Shift+Space) between name(s) and surname, as well as between numbers and units (e.g. J. J. Smith or 10 kg), dates (e.g. July 2016). Indicate the names of varieties and hybrids in single quotes (‘…’). No hyphenation between lines! 8. Please submit your paper (Talking Points) accompanied with the Application for Participation in the Conference to the Organizing Committee email conferenceuipve@gmail.com. Please designate the files attached with the surname of the first contributor. Example of due file naming follows: Smith_Zaiavka_1, Smith_Tezy_1. 9. The Organizing Committee will notify each participant on the paper adoption with individual letter sent to the email indicated in the Application. 10. The Organisation Committee reserves the right to introduce routine amendments into the talking points of the reports submitted. Validity of the cases, proper names and other details provided is the responsibility of the contributors. Conference Papers of Your Report(s) Your participation is free. PUBLISHING THE CONFERENCE PAPERS The Conference papers will be published in the Symposium of Reports' Talking Points which digital edition will be made available at http://confer.uiesr.sops.gov.ua/. - indicate postal address and further contact details for the designated contributor only. The Organizing Committee invites you to take part in the work of the VIth International Scientific-Applied Conference "BREEDING, GENETICS AND GROWING TECHNOLOGY FOR AGRICULTURAL CROPS" for young scientists and experts, devoted to the 55 anniversary of the winter soft wheat variety Myronivska 808 registration. The Conference to be held in the V. M. Remeslo Myronivka Institute of Wheat assembly hall on 20th April, 2018 at the address: vil.Tsentralne, Myronivka district, Kyiv region, 08853, Ukraine. The questions over modern tendencies in agrarian science development and skill sharing between experts and young scientists of Ukraine and Eastern Europe are on the agenda. The Organizing Committee invites young scientists and experts of the Scientific Institutions and Universities to participate actively in the Conference work. Breeding, seed production, and biotechnology. The application for participation in the conference and the abstract must be sent to the organizing committee via e-mail no later than 21 March 2018. Participation in the conference, including publication of abstracts is free of charge. The abstracts will be published in the collection of abstracts, which will be posted on the sites of the organizers http://sops.gov.ua and http://bio.gov.ua. An electronic version of the collection will be sent to the participants on the e-mail indicated in the application. economics, marketing and social aspects. Abstracts and Registration Form should be sent by e-mail: melnikver@yandex.ru or ncpgru@gmail.com, indicate in the subject: "Conference_ [name of the first author]"
REGISTRATION FORM FOR PARTICIPATION IN THE CONFERENCE "TRITICALE – THE CROP OF XXI CENTURY"
For the purpose of youth work activation, assistance in solving the applied and theoretical problems, wide exchange of experience and intensification the scientific relationship the Council of Young Scientists of SI Institute of Grain Crops NAAS of Ukraine and the Council of Young Scientists of the Ukrainian Institute for Plant Variety Examination invite you to participate in the International applied research conference: «Scientific support of innovative development the agro-industrial complex in climate change». The conference program provides performance of reports, messages and discussion. By the result of the conference, the scientific committee will award the best works. 1530 -1630 – summarizing, awarding, departure. The papers (Talking Points) shall contain until 3 sheets of А4 without indicating a page number. All page margins shall be 2 cm, Times New Roman font, 14 pt point size, single spacing (1). The title of tables shall be 12 pt point size on the top of page, the figures and schedules shall be below at the middle of the page. The format of figures and tables shall be portrait. The papers (Talking Points) should be informative and give a complete picture of the nature of the results, their scientific novelty and relevance. The electronic version of your papers in .doc, .docx or .rtf – format (Word for Windows 98-2010) shall be submitted to the Organizing Committee by email. The papers (Talking Points) are published by one of the working languages of the conference. The materials for publication are accompanied by a review of Dr. or PhD of the relevant specialty which is certified in due course. The Organizing Committee will notify each participant about the adoption with individual letter sent by email. The papers (Talking Points) which are not complied with the requirements will be rejected by the editorial board. The Conference papers will be published in the Collection of Conference papers in paper and electronic form. Participation in the Conference and publication of Papers is free. a) a short bus № 132 or any other short bus moving on Avenue D. Yavornytsky (K. Marx) – to the short bus stop V. Vernadsky st. (Dzerzhinsky). Walk 550 m on the V. Vernadsky st. towards Shevchenko Park. b) Tramway №1 to the station Shevchenko Park. Then walk to Soborna Square to E. Konovalets bystreet (190 m), then by E. Konovalets bystreet to the V. Vernadsky st. (400 m). Then turn left and walk 130 m.
International scientific conference "Significance of spring vegetation renewal moment for overwintering plant"
International Scientific Conference for Postgraduate and Master Students is aimed at creating conditions for the development of scientific and creative potential of undergraduate and postgraduate students as individual researchers, modern scientists who has fundamental knowledge and wide worldview. cientists and specialists whose activity is related to the subject of the conference are invited to take part in a scientific and technical conference. Number of coauthors of one article, and also the number of articles introduced by one author is not limited. Modern technologies of production of foundings from cast-iron, steel and coloured metals. New materials for making forms and bars. New materials and technologies in different fields of industry. Technologies to increase of durability of details and instruments. Automation and mechanization of production processes of casting production. Management and economy in casting production. Mathematical, physical, imitation design, information and computer technologies in casting production. Modern and perspective methods of control of quality of casting products. Perspective technologists of improvement of quality of casting by alloying, microalloying, modification and external influence on liquid metal. Methods of ladle treatment of liquid metal. Ecological problems of casting production. Preparation, retraining and advanced training of staff for casting and contiguous industries. We invite you to take part in the work of VІІI-th International scientific and technical conference «New materials and technologies in machinebuilding-2016», which will take place on Мау, 30-31, 2016. Working languages of conference are Ukrainian, Russian and English. Scientists and specialists whose activity is related to the subject of the conference are invited to take part in a scientific and technical conference. The aim of the conference is to exchange experience of specialists in precision technology and new solutions in instrumentation, meetings with heads of the leading enterprises, the formation of joint projects, the search for cooperation partners, the formation of innovative proposals. G.Tymchik, Chair of Scientific Committee, Igor Sikorsky Kyiv Polytechnic Institute (Ukraine). V. Kolobrodov, Vice-Chair, Igor Sikorsky Kyiv Polytechnic Institute (Ukraine). N. Bouraou, Igor Sikorsky Kyiv Polytechnic Institute. M.Geraimchuk, Igor Sikorsky Kyiv Polytechnic Institute (Ukraine). А. Protasov, Igor Sikorsky Kyiv Polytechnic Institute (Ukraine). I. Korobko, Research center “Energy saving instruments and systems” (Kyiv, Ukraine). A. Malyarevich, Belarusian National Technical University (Minsk, Republic of Belarus). N. Artioukhina, Belarusian National Technical University (Minsk, Republic of Belarus). J. Ronald H. Rovira, Universidad Estatal Península de Santa Elena (UPSE) (Quito, Ecuador). Jong Sun-Gil, President of WIT (South Korea). J. Zizka, Technical University (Liberec, Czech Republic). S. Zhuiykov, Environmental and Energy Research Centre (South Korea). A. Sahradyan, Armenian State Pedagogical University after Khachatur Abovyan (Yerevan, Armenia). V. Poriev, Igor Sikorsky Kyiv Polytechnic Institute. А. Protasov, Igor Sikorsky Kyiv Polytechnic Institute. I. Korobko, Chair of Research center “Energy saving instruments and systems” (Kyiv, Ukraine). J. Ronald H. Rovira, Universidad Estatal Península de Santa Elena (UPSE) (Kyoto, Ecuador). Jan Zizka, Technical University (Liberec, Czech Republic). Conference operation will pass in an aspect of plenary sessions and bench reports on modern problems of Dynamics and strength of machines, Engineering of logistical systems, Production engineering, manufacturing processes, including mechanical machining, electrical discharge machining, electro-chemical machining, ultrasonic machining, Machine Tools and machinery systems, Tool Manufacturing, Hydraulic and Pneumatic Machines, Equipment for Materials Processing with Pressure, and also on actual problems of hydroaeromechanics and mechanotronics. Questions of expansion of an information field, integration of scientific schools of technical universities and National Academy of Science of Ukraine, science and industry development will be considered. Also the time for an estimation of the completed PhD and DSc theses, discussions of paths of the further expansion of the international cooperation, deepening of scientific contacts, concentration of the force directed on heightening of efficiency of holding of conference is provided. Plenary reports should be presented in the form of presentations (MS Power Point ). Bench reports – on one sheet format - 594 × 841 (мм). Ukrainian, Russian, English and German are the official languages of the conference. 1. Modern problems of solid mechanics. processes with save resources . 3. Applied fluid mechanics and mechatronics. 5. Aviation and space technique. 6. Problems of higher engineering education are in Ukraine. 2. Mechanics of plasticity of materials and processes with save resources . 4. Progressive technics and manufacturing engineering. The theoretical and methodological aspects of strategic management as continuous process will be discussed on the workshop as well as the practical experience of Ukrainian and foreign libraries in strategic management will be presented. The 7th International Conference on Antenna Theory and Techniques (ICATT’09) will be held in Lviv, Ukraine, October, 6-9, 2009 at Lviv Polytechnic National University. Lviv Polytechnic National University is one of the eldest technical university in Europe. Lviv has been founded in 1256 and it is an unique architecture memorial. Lviv’s center is under the protection of UNESCO as a world cultural heritage. Lviv lies not far from the beautiful Carpathian Mountains and has soft continental climate, especially in autumn. Dedicated to the 165th anniversary of Lviv Polytechnic National University. ICATT’07 will be held at the National Technical University in Sevastopol city, on the Crimea peninsula. Sevastopol is one of the most beautiful and famous cities in Ukraine and has an ancient and heroic history. The weather usually is fine in September and participants will have the opportunity to combine fruitful work with having pleasure at Black Sea beaches. It can be easily reached from Kyiv and Moscow by direct flights. You can find detailed information about the Conference on the conference website.